It was a poor political calculation for the All Progressive Grand Alliance, APGA, to deny *Chief Godson Ezenagu (Ochendo),* the party's ticket even when it was glaring that he was the formidable and best choice for race. Inspite of the foul play and injustice, Chief Hon. Godson Ezenagu has gone from strength to strength, with Social Democratic Party, SDP. Ochendo is a house hold name in Awka North and South, that was why getting the people's support under SDP wasn't such a difficult task. To ndi Awka North, Ochendo is trustworthy and can be counted on. The people strongly believe him and will vote for him in any political party he chooses to identify himself with. That's the support he is getting as the SDP Candidate. For Obizi and Okpuno, both in Awka South, Ochendo have conquered those places, winning the minds of the people over. 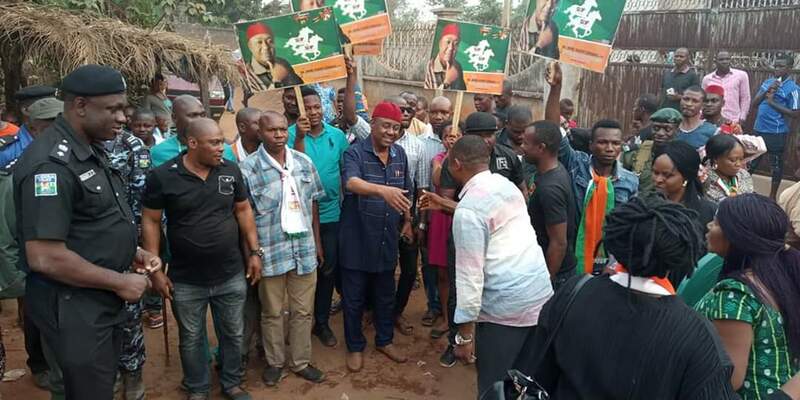 Obizi and Okpuno never liked Anayo Nnebe and they are not hiding it, as the people have openly rejected him. Let it be on the know, the generality of ndi Awka North, Obizi and Okpuno, are solidly behind the candidature of Chief Godson Ezenagu. There is this spoken agreement that Ochendo remains the only Candidate that will serve the interest of the people. It is an undisputed fact that Chief Hon. Godson Ezenagu remains one of the most consistent and dedicated stakeholders in the whole of Awka North and South. It is also a known fact that Ochendo has been one of the major contributors to the progress of the constituency, and the State.